In the business world, completion can have a variety of meanings. In project financing, for example, completion is when the cash flow of the project becomes the primary source of repayment on loans. Prior to completion, a turnkey contractor or business loan might be used to cover costs. However, when buying or selling a business, completion is roughly equivalent to the same term in property purchase. When is a purchase complete? Completion is the last stage of a business purchase. In much the same way as buying a house, buying a business goes through a number of stages. These, broadly, are – negotiation, agreement, exchange of contracts, and completion. The last is the point at which the deal is closed, and the balance of money changes hands according to the terms of the contract. Prior to completion, the seller can continue running the business any way they like, unless they’ve signed an agreement that states otherwise. From an operational point of view, before completion, the business belongs to the seller. After completion, it belongs to the buyer. If you’re selling your business, think about the implications of this. Any long-term commitments you enter into could make the business less attractive to a buyer who wishes to pursue a different strategy. The right decisions though might increase its attractiveness. A business sale begins once both buyer and seller are satisfied with the contract terms. For the buyer, the searches would not have revealed any problems and all buildings and assets would have been checked and met with their approval. Any outstanding obligations such as gaining planning permission will have been undertaken by the seller, and the necessary funds secured. There will then, usually, be a Heads of Agreement document that, though not legally binding, is an important step in the process. This brings the key elements of the sale into a single document, and also acts as a timetable for the remaining stages of the purchase process. Now the buyer can carry out their own due diligence to analyse the business accounts, practices and day-to-day operations. Once this is completed to the buyer’s satisfaction, the Sale and Purchase Agreement will be signed, which outlines both parties’ obligations in the process. All that remains is for payments to be made. Once this is undertaken in full, or to the extent outlined previously, the deal can be completed. Completion is the point at which the company passes to the control of the buyer. This brings a range of new obligations, particularly with regard to land, trademarks, and patents. Registration details need to be changed, and contracts and insurance amended. The buyer will need to inform the business rates department, the Land Registry, and other statutory bodies. Buying a business is a complicated process and you’ll usually need assistance. 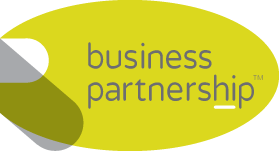 At Business Partnership, we have thirty years’ experience helping people buy and sell businesses. Get in touch with us today, and see how we can help you. Previous Post Buying a business and what you should consider Next Post Many people I talk to, often ask “what is it you do” ?